Cross Streets Community is on temporary hiatus as we update our facilities. ​please do visit SOUTHSIDE-NEEDS-A-NEW-KITCHEN to learn more about how to support our efforts. 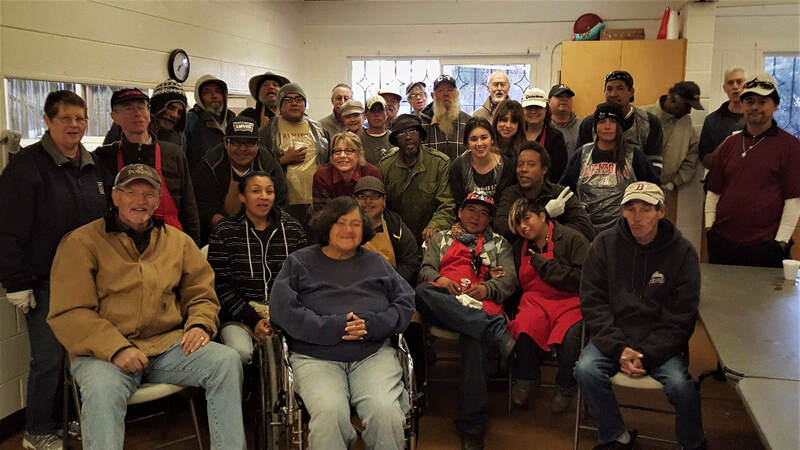 Cross Streets Community is a multi-faceted program for homeless people in our area. On Monday and Friday mornings, homeless people are provided with a hot meal, showers, laundry services, and a clothing room for approximately 100 people a week. Out of faithfulness to Matthew 25, Southside seeks to serve our homeless brothers and sisters through Cross Street Community by providing meals, showers, laundry services, a clothing room, and hair cuts. But more than this we seek to provide a place for people to feel loved, accepted, and a valuable part of this community, so we seek to offer our friendship and our support as well as opportunities for our homeless brothers and sisters to have leadership roles and responsibilities in the operations of our program.